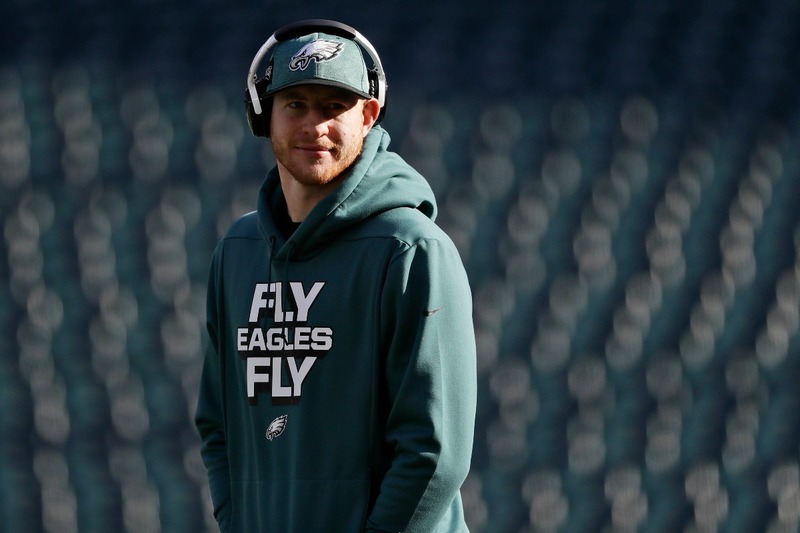 After missing five regular-season games and the playoffs last season due to a back injury, Philadelphia Eagles quarterback Carson Wentz is expected to be ready for the team’s offseason training program, which will begin in May. Philadelphia is also working on a deal to keep Wentz in green for a long time. He’s about to enter the final year of his rookie contract, but Eagles VP Howie Roseman said this week that signing him to a long-term deal is a top priority. Meanwhile, Wentz and his wife, Madison, have been walking where Jesus walked. The couple recently posted pictures from their trip to Israel, where they were also baptized in the Jordan River, the same river in which Jesus was baptized (Matthew 3:13-17). Wentz joins a list of athletes — including Odell Beckham Jr. and Darryl Strawberry — who have recently made a trip to Jerusalem and been baptized in the Jordan River. Upon returning from his trip, Wentz will prepare for his AO1 Foundation’s first Philly Gala on April 30 in Philadelphia. Just over a month later, the AO1 Foundation will host its second-annual Charity Softball Game at Philadelphia’s Citizens Bank Park on May 31.